This brand new private safari is perfect for the animal lovers in your family. This is a very limited and rare opportunity to actually interact with the wildlife that live on the savanna in the Animal Kingdom. 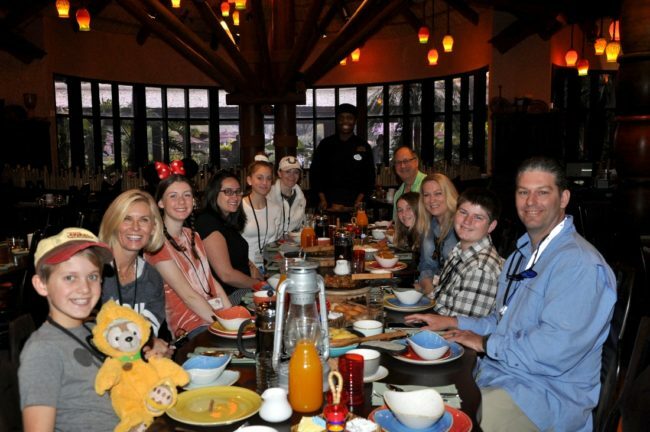 The tour lasts for three and half hours and includes a huge and hearty breakfast at Boma – Flavors of Africa. If you have not eaten at Boma, I highly recommend it. Many of the staff come from various African countries and they serve up authentic local foods. Most importantly, they make a seriously strong coffee. You’ll need to wear closed toed shoes and set your alarm, check in is at 6:45 am at Jambo House, part of the Animal Kingdom Lodge. I suggest taking an Uber, you can’t count on other transportation to get you there on time. The good news is that hot food and strong coffee are waiting when you get there. 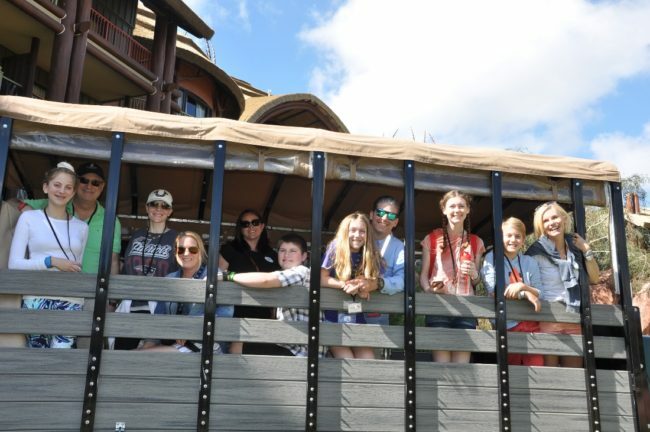 After breakfast you’ll hop on board a private safari vehicle for a trip backstage. They don’t allow you to photograph or videotape anything “behind the scenes”. The good news is that a professional photographer is on every trip, they will take AMAZING photos of your experience and you can download them at no extra charge. Pro-tip, when they hand you the photo card, take a snap of the number on the back in case you lose it. It takes 24-48 hours before the photos will be loaded. A safari guide will be onboard with your group, these are real animal experts not just Disney guides. We were so impressed with the animal care team and their dedication to these animals and conservation. The kids learned a lot on this tour, they learned that the okapi were not even discovered as a species by the western world until 1901. Check out the huge ears, they heard hunters coming long before they were spotted. They also learned about the quiet extinction of giraffes due to habitat fragmentation. Also, believe or not, people actually poach giraffes. Keaton is particularly concerned that no one seems to know that giraffes are endangered. The animal care staff demonstrate how they train the animals on learned behaviors that all have the purpose of helping vets and researchers to work with the animals. All of the training is done by positive reinforcement and the animals are free to participate or leave, we had a few walk off on us. It took a surprising amount of time to convince one of the giraffes to come over for free food, she was busy keeping her eye on a pack of deer who were invading her territory. Once we convinced her to eat, she snapped the branch right out of my hand. These animals are not trained for photo opps, which is my favorite thing about this tour. I really hate animal tours that are just about selling photos. 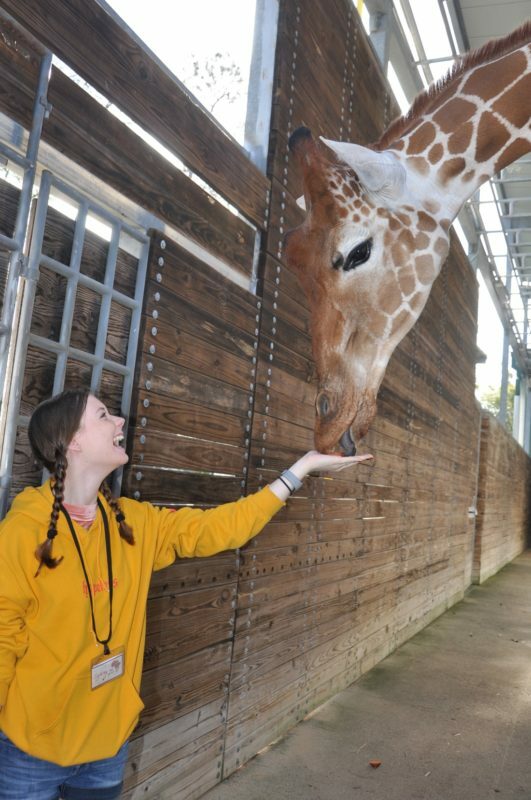 This photo of Sydney getting a little giraffe tongue while she fed her a carrot is my favorite. 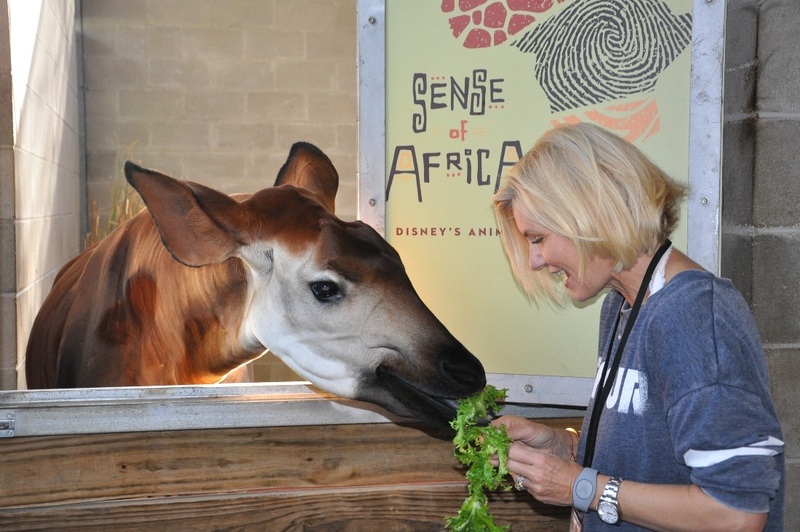 This tour is good for the animals and part of the cost goes to the Disney Conservation Fund. There are other private safari experiences you can book. 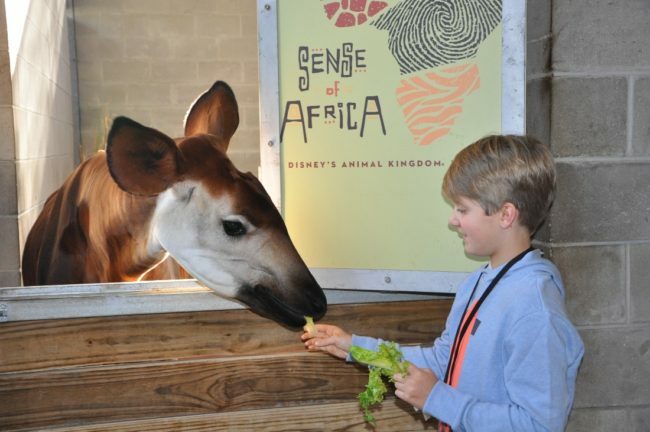 We covered the Wild Africa Trek last year and have yet to experience the Savor the Savanna nighttime VIP tour. We love Animal Kingdom at night and if this tour is as good as the others we’ve experienced, I can comfortably recommend booking. If you’ve done it, please send me a comment and tell me what you thought. Cost $249 (tax not included). No same day reservations are allowed and if you cancel within two days of the tour you forfeit the entire cost. This experience is wheelchair accessible, be sure to note this when booking so they can prepare as there is limited space on the vehicle. The Sense of Africa tours only take place on Tuesdays and Saturdays – reservations are required – there is only one tour per day. They describe it as “rugged” – honestly, it’s just a little bumpy, I’ve had worse rides on New York freeways in taxis without shocks. Check in at 6:45 am – in Jambo House in the Animal Kingdom Villas. I suggest getting an Uber if you are staying at another property. I know I said this twice, it’s important. You don’t want to miss this waiting for a Disney bus. 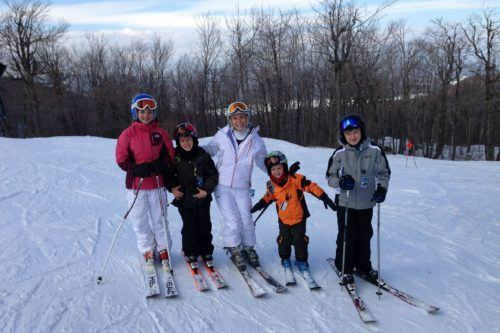 Must be 10 years old – anyone under 18 needs to be accompanied by an adult. Closed toed shoes are required, flip flops are not allowed. You do not need a park ticket for this experience as it leaves from the Animal Kingdom Lodge. And if you are a pin collector (and you know you are) there is a custom pin you’ll receive on this safari. If you like the thought of a private safari, you will love Disney VIP Tours, send me a note if you have any questions. To book you need to call 407-WDW-TOUR. This tour was comped for us, I think it’s a once in a lifetime experience and worth the price tag. Even if you go to Africa on safari I can guarantee that you will not be hand feeding the okapi or giraffes.